The 6th Prime Minister of India who served from 28th July 1979 till 14th January 1980 was Chaudhary Charan Singh. He could only serve the country for a span of 5 months before rendering his resignation much before proving of majority of his party. He was considered as the peasant leader who raised his voice to support the Indian farmers. This is the reason why his birthday is celebrated as “Kisan Diwas” all across the country. A talented parliamentarian and a realist, Shri Charan Singh is regarded for his expert articulation and valour of conviction. Born in the year 1902 at Noorpur in Meerut locale of Uttar Pradesh, Chaudhary Charan Singh hailed from a farmer middle class Jat family. He pursued his graduation and post-graduation from Agra University in the year 1923 and 1925 respectively. Likewise he was trained in legal practices, he also set up his law practice at Ghaziabad. Eventually, fate had other plans for him and he moved to Meerut in the year 1929 and eventually joined the Congress. He had six kids with his wife Gayatri Devi. His son Ajit Singh is at present the leader of a political group RashtriyaLok Dal. He has served as Union Minister previously and as a Member of Parliament a multiple occasions. The grandson of ChadharyCharan Singh, son of Ajit Singh – Jayant Chaudhary was chosen to fifteenth LokSabha from Mathura region, but he lost to other contender Hema Malini in 2014 elections. Chaudhary Charan Singh belonged to the clan of Raja Nahar Singh of Ballabhgarh, Greater Punjab which is presently in Haryana. Raja Nahar Singh was an unmistakable pioneer of the Indian Rebellion of the year 1857. It was ordered that Nahar Singh be sent to the hangman’s tree in Chandni Chowk area of Delhi. With the end goal to get away from the persecution from the British Government subsequent to their defeat, the followers and adherents of the Maharaja, including grandfather of Charan Singh moved eastbound to locale Bulandshaher in the state of Uttar Pradesh. Charan Singh was always impressed by Mahatma Gandhi. Gandhi’s non-violent peaceful struggle for autonomy from the British Government, and detainment for quite a few times. He was sent to prison for a half year by the British Government for negation of the salt laws. He was imprisoned once again for one year for individual Satyagraha movement in the year 1940. Subsequently he was imprisoned again by the British under DIR in the month of August 1942 and then discharged in November 1943. Charan Singh was first chosen to the U.P. Administrative Assembly in the year 1937 from Chhaprauli region, and he spoke to the voting public in the years – 1946, 1952, 1962 and 1967. In the year 1946, he ended up becoming Parliamentary Secretary in the government of Pandit Govind Ballabh Pant and worked in different divisions, for example, Revenue, Information, Justice, Medical and Public Health, and so forth. In the June of year 1951, he was selected as Cabinet Minister of the State and was made in-charge of the Departments of Justice and Information. Eventually he assumed control as the Minister for Revenue and Agriculture in Dr.Sampurnanand’s cabinet in the year 1952. When he submitted his resignation in April 1959, Chaudhary was in-charge of the Department of Revenue and Transport. In the ministry of Shri C.B. Gupta, Chaudhary was working as Minister for Home and Agriculture in the year 1960. From the year 1962-63, Chaudhary Charan Singh filled in as Minister for Agriculture and Forests in the ministry of Smt. Sucheta Kripalani. He, then, submitted his resignation from the Department of Agriculture in the year 1965 and took charge of the Local Self-government office in the year 1966. Later when there was a split in the Congress, he turned into the Chief Minister of Uttar Pradesh and that too for the second time. It was in the year 1970 and Congress Party supported him immensely. But eventually President’s Rule was forced in the State of UP on 2nd of October in the year 1970. Chaudhary Charan Singh offered his services to Uttar Pradesh under different capacities. His reputation was that of being a hard drill sergeant who does not endure wastefulness, defilement and nepotism in management and administration of the state. It was Charan Singh who played the role of the main architect in U.P., especially for Land reforms. He assumed the main role in planning and finalisation of the Dept. Redemption Bill in the year 1939. This brought about incredible alleviation to rural individuals who were under debts. It was additionally at his drive that the pay scales and different benefits appreciated by Ministers in U.P. were definitely made concentrated. As the Chief Minister of the state, he was extremely instrumental in achieving the Land Holding Act 1960 which was gone for bringing down the ceiling on property in order to make it identical all through the State. Barely any other political leader of the nation could coordinate with Charan Singh as far as his direction or popularity of command was concerned. At the grass-root level, he was a devoted public worker and also a staunch believer to social equity. The source of his strength stemmed basically from the certainty and confidence he received from a huge number of farmers. Charan Singh always contradicted Jawaharlal Nehru for his economic reforms that we Soviet-style in nature, and he assisted in changing the agrarian bargain of Northern part of India after the year 1947. Charan Singh was of the feeling that cooperative ranches would not prevail in India. He himself was the child of an agriculturist, he himself opined that the privilege of ownership was critical to the rancher in being a cultivator. He needed to protect and settle an arrangement of farmer ownership. And since he openly criticised the monetary policy of Nehru, Charan Singh’s political career endured all the challenges. Eventually in the year 1967, Charan Singh resigned from the Congress party, and framed his own political party by the name of Bharatiya Kranti Dal. Due to the assistance and support of Ram Manohar Lohia and Raj Narain, he wound up becoming the Chief Minister of Uttar Pradesh in the year 1967, and then in 1970. He was imprisoned once more in the year 1975, however this time by the daughter of his former rival Nehru. Indira Gandhi was the then Indian Prime Minister and she had powers vested in her. She had pronounced the highly sensitive situation called as state of emergency and imprisoned all of her political rivals. Eventually in the general elections of the year 1977, the Indian people casted a ballot her out, and the opposition group came into power. 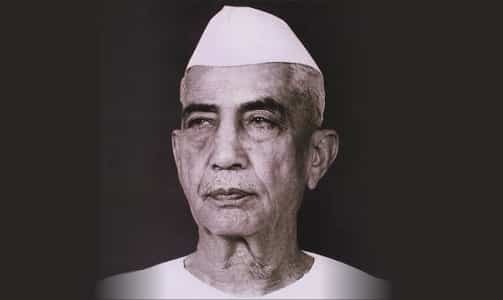 Chaudhary Charan Singh was a senior leader of this party and he filled in as Deputy Prime Minister, Finance Minister and Home Minister in the Janata government which was led by Morarji Desai. Chaudhary Charan Singh endured a stroke on the 29th of November, 1985. He couldn’t totally recoup from the condition notwithstanding being dealt with at a hospital in the US the next March. On 28thMay 1987 at about 11:35 p.m. (IST) after his respiration was discovered as shaky, specialists were called out to his residence in New Delhi. Endeavours were made to restore him but fizzled and he was proclaimed dead at about 2:35 a.m. (IST) which is the next morning later to the “cardiovascular collapse”. Since his demise, numerous people who had an association with Chaudhary Charan Singh have guaranteed that his life and work are recalled in a positive manner. These observations authorize the idea that he was of a “higher classification of pioneers” in the regions of “astuteness, individual honesty, and lucidness of his social and monetary thought. His relationship with causes closer to the cultivating communities in India made his dedication in New Delhi and it was named as Kisan Ghat. Kisan means farmer in India. His birthday on the 23rd December is known as Kisan Diwas in India. A dedicatory postage stamp was also issued by the legislature of India on the third passing commemoration of Chaudhary Charan Singh. Lucknow’s Amausi Airport, Uttar Pradesh was renamed after him as Chaudhary Charan Singh International Airport. Also the University of Meerut in Uttar Pradesh, was likewise named Chaudhary Charan Singh University in his respect. Chaudhary Charan Singh Post Graduate College which is a college in Etawah locale, is likewise named after him. In Bulandshahr region, one hospital is also named after him. In the year 1938 Charan Singh brought forward an Agricultural Produce Market Bill in the Constituent Assembly and it was published all over the newspapers dated 31st March 1938. The aim of the Bill was to protect the interests of the farmers against the greediness of dealers. The Bill was accepted and approved by most of the Indian States and Punjab was first state to embrace the same in the year 1940.